Having a beach themed wedding can be truly unique yet it may also be very challenging. Carefully planned beach weddings will make your wedding extra special; your guests will not ever forget the event. This non-traditional wedding theme has the touch of comfort, uniqueness, innocence and lightness. 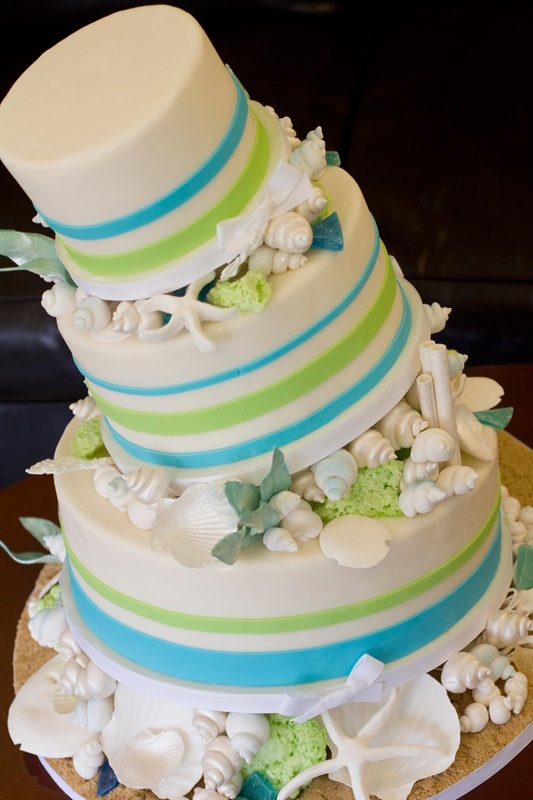 There are handfuls of beach wedding ideas today which will greatly help you in planning your beach themed wedding. Choosing to have a theme different from the traditional laces and long veils gives you the freedom to use bright vivid colors to softest pastels for your wedding theme. The Bride's wedding dress can be designed using lighter fabrics and pastel colors. Chic short wedding dresses can also be worn for ultimate comfort and mobility. Not only can the dress be shorter and made of lighter fabric, it is highly recommended, your comfort may depend upon it! The clothing of the entire entourage should still be harmoniously themed, with a wider choice of colors of summer. Groom's attire could be anything from pastels to vivid summer colors. Beach inspired accessories will add more accent to the theme of the wedding, like corals, beads and shells. What about your wedding shoes? You can either choose to walk barefoot or wear beautifully beaded slip on sandals Your hair should be more relaxed and free flowing, making sure that your hair style can stand the ocean breeze as well. A few accent flowers can be clipped onto your hair to complete your summer look. Bright colored flowers are the best choices used in beach themed wedding, including the bouquet that the bride would hold while walking down the aisle. When it comes to invitation for your guests, beautifully taken images of the location is the best centerpiece of your invitation, making sure that the summer ambiance is clearly portrayed on the invitation itself. You can also add an attire suggestion if you want your guests to wear similarly colored summer dresses. It is also important to inform your guests through your invitation about the length of your stay so as for them to plan how many wardrobes they need to bring along when they attend your wedding ceremony. From the wedding dress to the flowers that should be used, down to the tiniest details of the cakes and plates, all should have the touch of summer colors and lightness of the ocean breeze, everything should be carefully planned to have a very beautiful, unforgettable marriage witnessed by the shimmering sea.